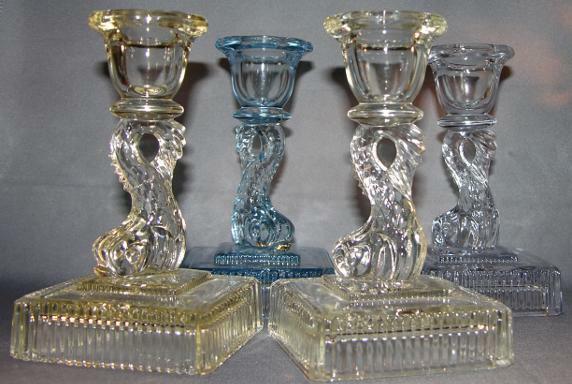 4 “Empire Dolphin” Candleholders – Imperial Glass – Circa mid 1930s. Crystal. Each is in a slightly different hue. Measures 5” high x 3” in diameter across a square ribbed open base. All are in excellent condition.